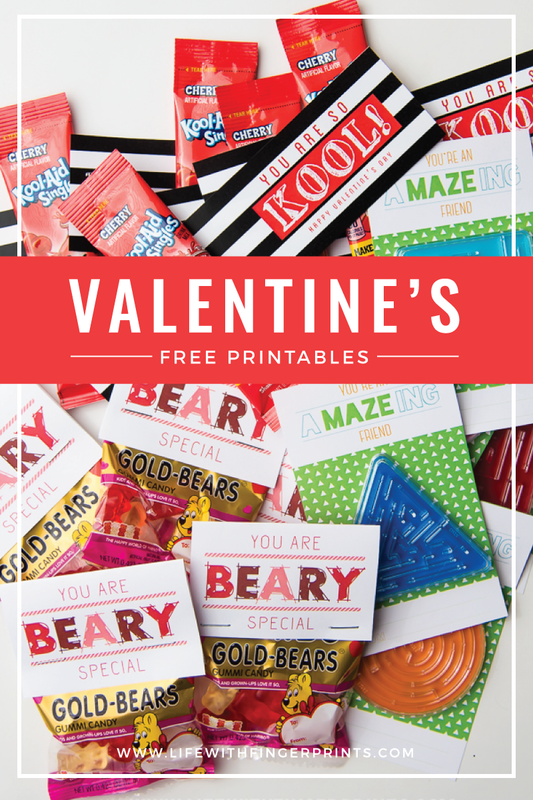 This year’s Valentine free printables include individual Kool-aid packets, handheld mazes and Valentine’s gummy bears. 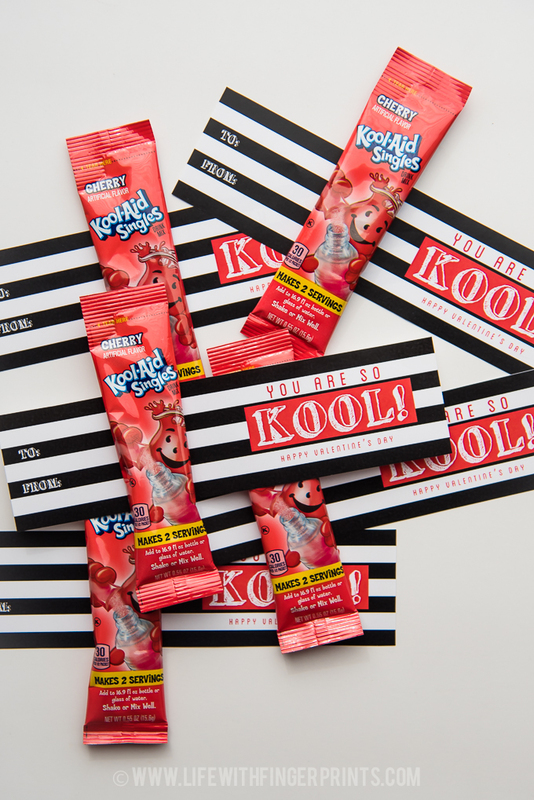 Can I let you in on a little secret…My kids valentines are determined by the size of their class. 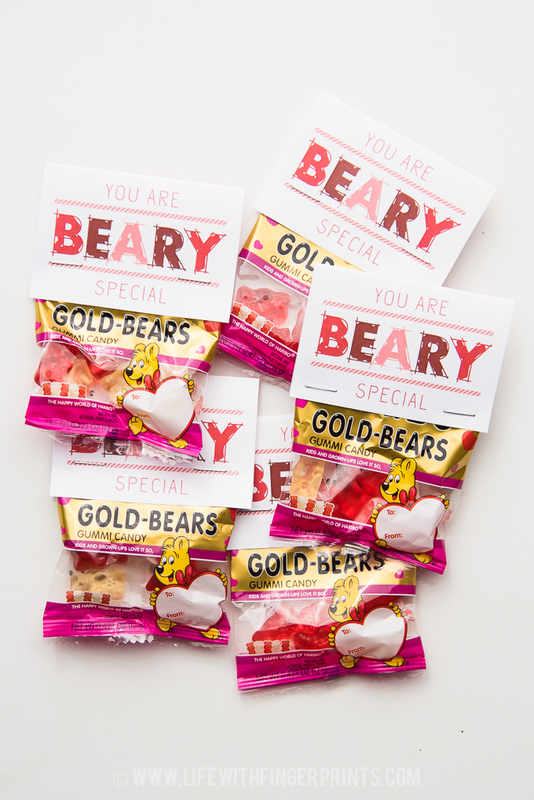 For example – Bennett needed 25 valentines – so when I saw a box of 25 gummy bears – Done. Hallie and Hunter have more than 25 kids so I would’ve had to buy two boxes. Instead, I purchased things that fit their class size. Necessity is the mother of invention, right? My creativity works the same way. 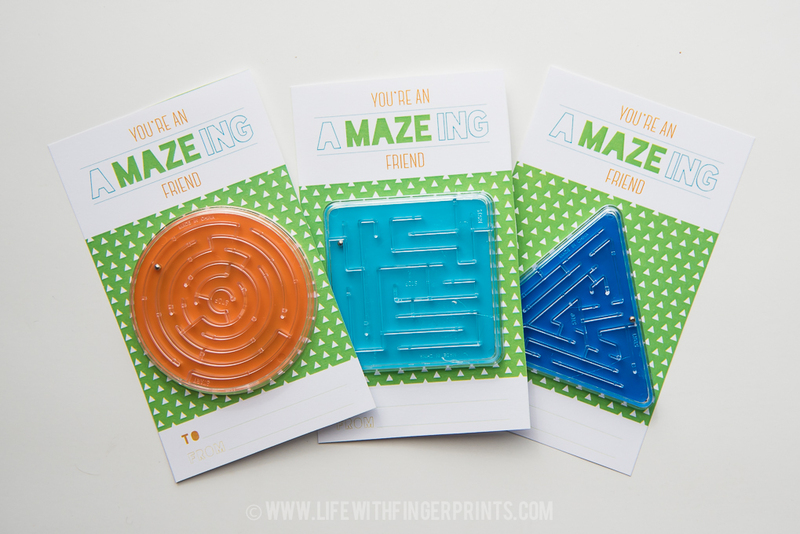 hi, first thanks so much for sharing these lovely valentine printables. However am having some difficulty accessing the download files. It says to click on the resource library at the end of the post but nothing seems to happen when I click on it. Please help. Thanks. 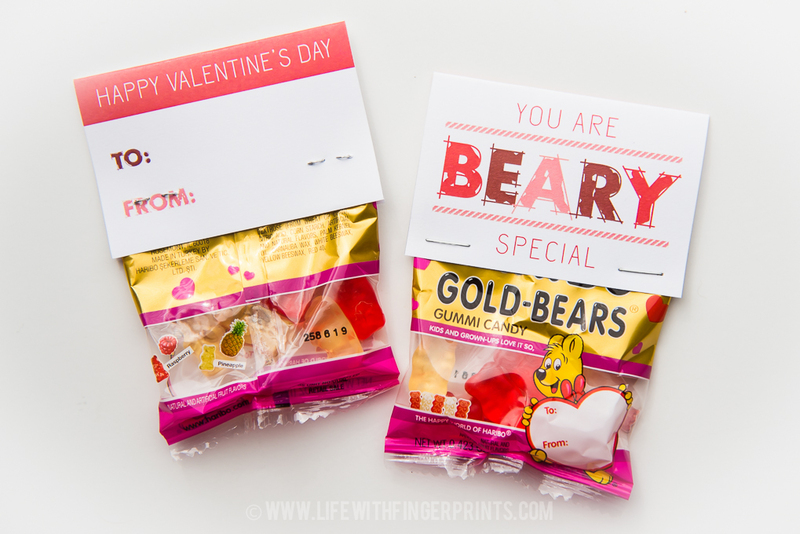 Hi, thanks for the downloads, however the link for the gummy bear valentine seems to not be working. Any advice? Thanks! I just went back to check it and it worked for me. If you click on the resource library link it should take you to a page with all my downloads in one spot. Did that page work for you? I cant get the gummy bear valentine to download either. All of the other ones seem to be working fine on the resource page. Cute valentines! I can’t get the link to work for resource library. Hi! 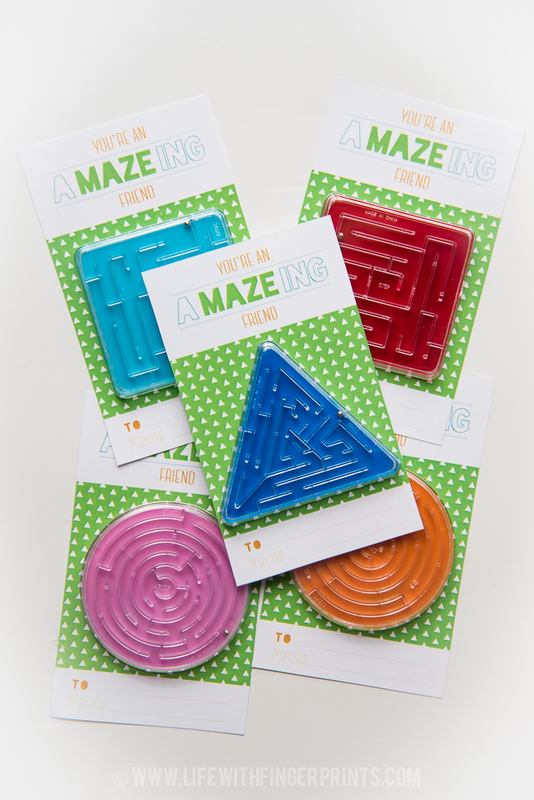 Love your printables–they’re too cute! However, I’m having trouble downloading them as well. It says [ess_grid alias="Valentine"] when I click on the Resource Library link in this post…not sure what I’m doing wrong. I just updated the link, thanks! Hello! 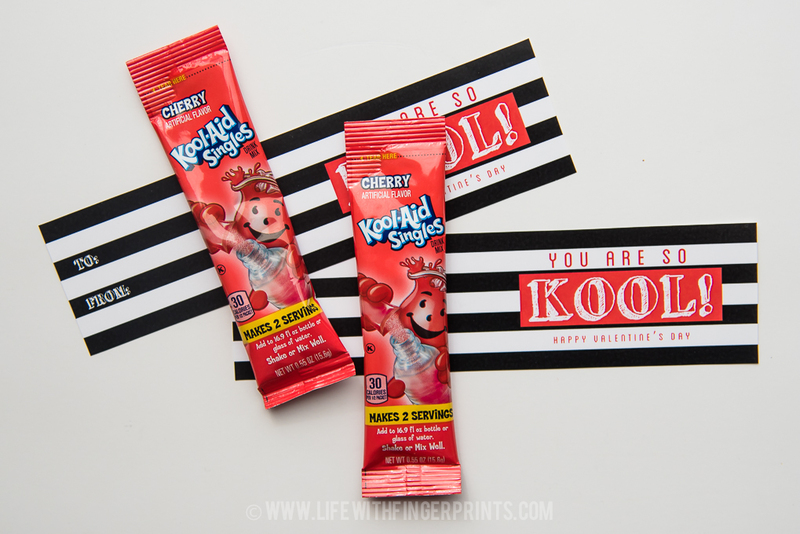 I know this is an older post but I am looking for the gummy bear printable and the resource page no longer has them. Is there another way I can get these? They are TOO cute!